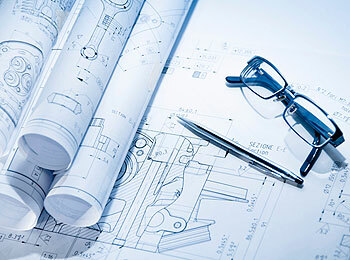 Home » Entrance Exam Tips » How to study for Engineering Exams? How to study for Engineering Exams? Its that time of the year that most students dread; exams, exams and more examinations, that too Engineering exams. With the examinations fast approaching, most students are preparing themselves for another round of examinations. Most students opting for last minute study are usually either looking for notes, verifying the syllabus, shifting through topics, searching for easy topics, or looking for ways to reduce the portion by going through previous years question papers. Well if you are still following this method it is high time you stop it or you won’t learn anything. Besides just passing isn’t enough you need to know something about your subject if at all you wish to be employed. And if you are listening to friends who say that they are doing the same, they are probably lying to you. So don’t be gullible like some are, have some common sense or better yet be realistic in your approach, especially when studies are concerned and your future is in question. Mnemonics are clues that help individuals to associate the information they want to remember via images, sentences and words. These have proved to be effective in remembering things. Some students prefer to underline important points in pencil while others prefer to use highlighting markers for the points that seem important to them. By highlighting the important points, you save time kept for revising. If possible prepare drawings that highlight the main points discussed in the topic. Once you have listed out the points you can even form a hierarchy based on the important points. For topics that discuss a process of things it is preferable to create a diagram that shows the different processes, or if there isn’t one. Nevertheless it is preferable to refer to the diagrams that are there in the text itself. This works best for when your have diagrams to remember. For subjects like Mathematics, Algebra, Geometry, Trigonometry, Physics and Chemistry that have formulas or chemical compositions to remember. Preparing charts is the best way to remember such material. But if one wishes to remember formulas preparing a chart with the formulas that you need to remember will save time when you have to revise the formulas alone. You can also prepare a calendar and a time table to allot time to different subjects. If you are solving previous years question papers then your need to create an examination environment and even reserve time for each question based on the marks. For subjects that require Arithmetic calculations like Mathematics, Algebra, Geometry, Trigonometry, Physics and Chemistry the best way to prepare is to practice, practice and then practice some more. But before you solve question papers it is preferable to finish and master the problems given in the reference book. You can also practice solving problems from question papers and even solved examples. 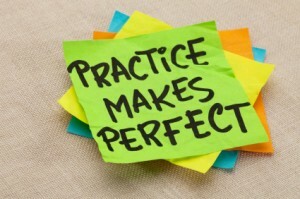 Therefore, “Practice as if you are the worst, perform as if you are the best” – Jaspher Kantuna. Ensure that you eat a balanced diet, sleep adequately and exercise as all of these aspects together affect your performance irrespective of the points discussed so far. 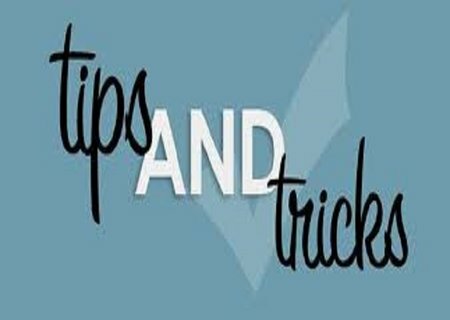 By implementing these simple tips right at the start of term, you are bound to perform well thus improving your chances of being employed and increasing your chances of obtaining a seat in the desired college and in the interested course of your choice. 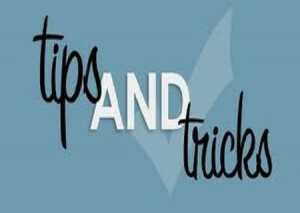 If you are looking for tips to crack the JEE Mains and JEE Advanced, for information about engineering courses or for that matter seeking tips to improve your Language, Vocabulary and Maths you can visit our website www.careerfutura.com or you can also visit our sister website www.way2k.com for information about entrance examinations. All the best! Good tips Ketan. As an engineering student, I was always used to make drawing and diagrams for almost every topic I used to learn. That way it was easy to learn a topic like a story and was really helpful. Do these tips really work? Yes, but you need to apply them to realise if they are helpful to you. I tried some of these tips and I found them very useful! Thanks. Thank you for your feedback and I am glad that is was of some help.